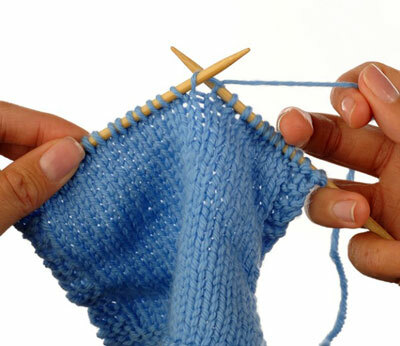 Twisting your stitches or creating ladders are two common knitting mistakes. Fortunately, such knitting mistakes can be corrected even if you don’t catch them immediately. Simple solutions two these two knitting problems are covered here, so you don’t have to lose all your hard work. In a non-twisted stitch, the part of the stitch in front of the left needle appears to the right of the part of the stitch behind the needle. Sometimes, especially when picking up dropped stitches, the stitch ends up with the front leg to the left of the back leg, which creates a twisted stitch. You can correct a twisted stitch in two ways. Take the stitch off the left needle, turn it, and place it back onto the needle; it is now untwisted. You can also correct a twisted knit stitch by knitting into the back of the stitch rather than the front. Insert the right needle tip into the stitch on the left needle through the back loop from right to left; the right needle is behind the left needle. Wrap the yarn as for a knit stitch and pull the new stitch through from back to front. The stitch is now untwisted and correctly mounted for the next round. When working in the round on double-points, two circular, or one long circular, sometimes “gaps” or “ladders” form at the junction of two needles. Pulling the needles in opposite directions creates tension on the stitches, which causes a gap. 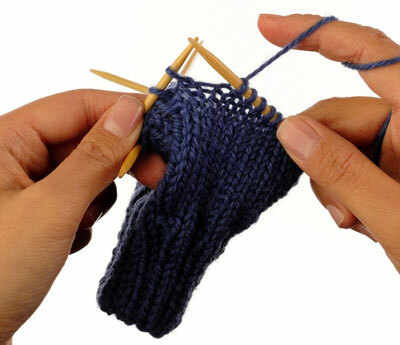 The laddering effect is often more pronounced when using double-pointed needles because there are more junctions — four rather than the two you get when working with circulars. To prevent ladders, pull the working yarn firmly on the first 2 stitches when switching needles. This helps to tighten the corners. 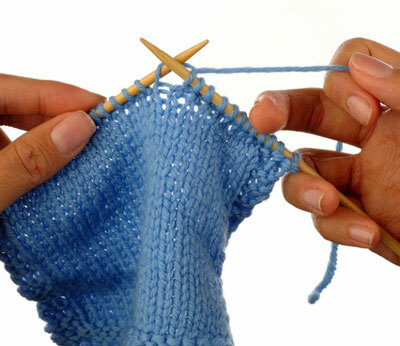 If you are still having trouble, try shifting the stitches from needle to needle as you knit around. This prevents a ladder effect because you disperse the loose stitches over the entire sock. However, some patterns assume that the stitches on each needle remain on the same needle for the course of the sock. 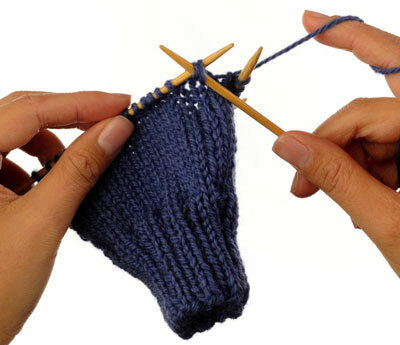 Just make sure your stitches are on the right needles when knitting a heel or toe. 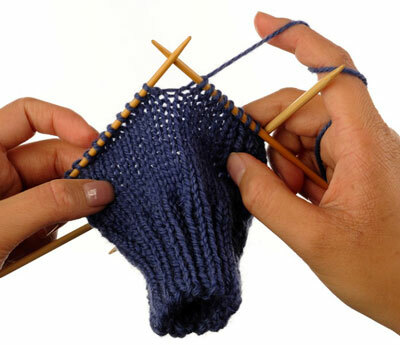 Knit to the last 2 stitches of the needle (double-pointed or circular). Slip the last 2 stitches onto the next needle, taking care not to twist them, then knit across the next needle as usual to the last 2 stitches. Repeat Step 2 as you go around to shift the stitches from needle to needle.